Born into wealth and privilege, Avery Stafford seems to have it all: a successful career, a handsome fiance, and a lavish wedding on the horizon. But when Avery returns home to help her father weather a health crisis, a chance encounter leaves her with uncomfortable questions and compels her to take a journey through her family's long-hidden history, on a path that will ultimately lead either to devastation or to redemption. 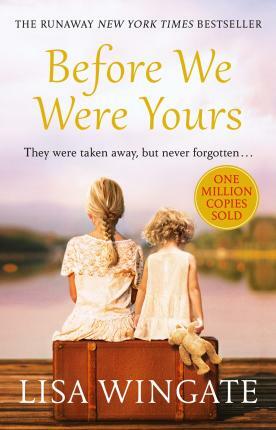 Based on one of America's most notorious real-life scandals, in which Georgia Tann, director of a Memphis-based adoption organization, kidnapped and sold poor children to wealthy families all over the country, Before We Were Yours is a riveting, wrenching and ultimately uplifting global bestseller.